85th Carnival Of Nuclear Energy Bloggers: Right Here at Yes Vermont Yankee! The 85th Carnival of Nuclear Energy Bloggers is being hosted by Yes Vermont Yankee. The Carnival is right here, right now. When I signed up to host the Carnival, I promised to post it this weekend. However, I wasn't sure whether I would post it this year or next year. 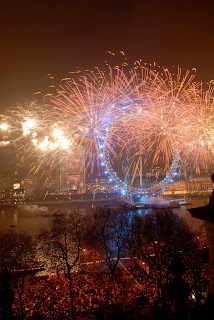 In a small burst of ambition, I'm putting the Carnival in place in 2011. Fearless Predictions: Dan Yurman at Idaho Samizdat offers his annual "fearless predictions" for the global nuclear energy industry in 2012. His post, Predictions, Speculations and Raw Random Ideas for 2012, starts with a description of the future for Japan (of course). Until 2011, Japan and France were two stalwarts of the nuclear field. Now they face new challenges. China and India will move ahead, and the U.K. maintains progress for its new build. The two big new deals in 2012 are the Czech Republic's Temelin project for up to five new reactors worth $28 billion and an expected tender by Saudi Arabia for up to 16 new reactors worth $112 billion. New Directions: While she wouldn't quite characterize it as a New Year's projection, Gail Marcus of Nuke Power Talk considers New Directions in her post. She speculates that the Fukushima Dai-ichi accident in Japan may increase the pressure to continue the development of advanced reactor technologies, including some of the SMR designs, that hold the promise of being more robust in the event of a "Fukushima-type" accident. This would be any scenario that can lead to a prolonged loss of cooling water or backup power. However, she cautions people to heed the words of Admiral Rickover, who famously enumerated the differences between a "paper reactor" and a real reactor. 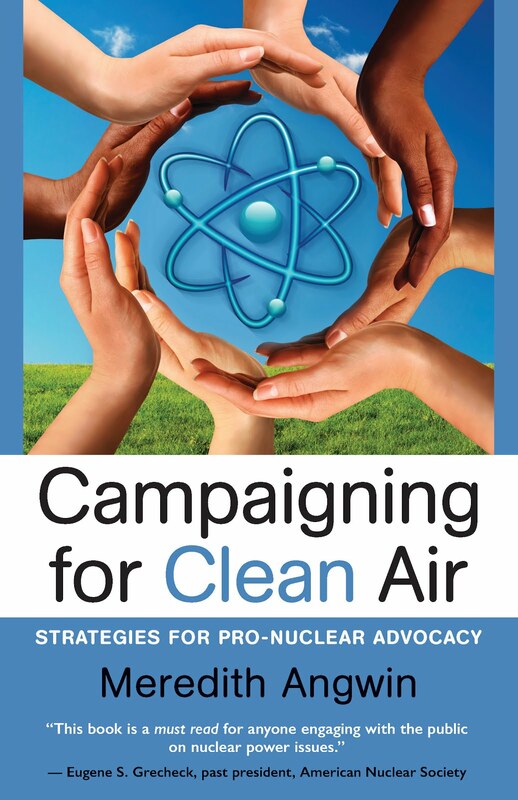 Moving Forward in the U.S. Margie Jepson blogs at Nuclear Clean Air Energy as part of Entergy's Nuclear Clean Air Energy education initiative. In The 2011 Year: So Long! Jepson looks back at the Year of Fukushima. Then she looks forward to the ways that 2012 will expand many of the excellent trends of 2011 in this country. Reactors are being built, capacity uprates have been granted by the NRC, and the uranium enrichment facility (planned for eastern Idaho) now has an NRC license. Nuclear Plants to Fight Climate Change: At Canadian Energy Issues, Steve Aplin writes Extreme heat, electrical load, and political stability: the connection and the solution. 2011 was a year of record extreme weather in North America. The extreme episodes were fueled by the higher temperatures in the earth’s atmosphere, which gave extra energy to the heat waves and wind storms that ravaged the continent. It is an alarming trend. One upshot is that there will be huge demand for electricity for summer air conditioning. Aplin argues that this demand must be met by CO2-free nuclear plants, not by CO2-belching natural gas-fired ones. By the way, I like the energy tracker on Aplin's blog, displaying real-time electricity data for Ontario. I include a screen shot of the tracker. Double-click to enlarge the graphic. Fusion Power Moves Closer: Brian Wang of Next Big Future truly looks to the future with a blog post on how fusion power moves closer, due to results from a lab in Germany. 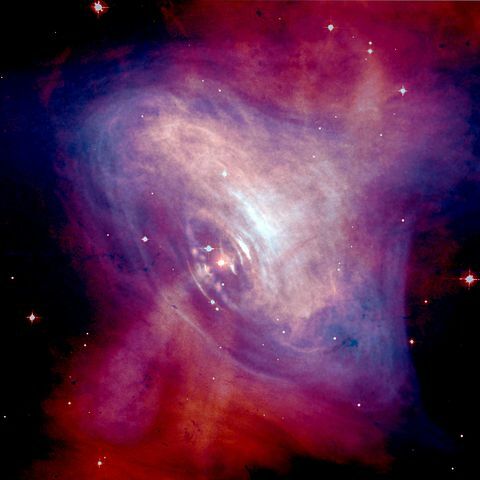 A gamma ray laser and a Bose-Einstein Condensate could help make it happen. Students are the Future: What questions do young people have about nuclear power? Recently, Howard Shaffer and Meredith Angwin had opportunities to hear their questions. Meredith Angwin discusses the questions as well as the answers, and the implications for nuclear education. The post, Young People and Nuclear Power, is at ANS Nuclear Cafe. Fukushima Update and Japanese Nuclear Future: For many people within the nuclear industry and outside of it, 2011 will be remembered as the Year of Fukushima. Will Davis of Atomic Power Review posts Fukushima Tepco Update for December 28. This post provides a set of updates on situations relative to Fukushima Daiichi: An announcement by Fukushima Prefecture with wide implications; a report by TEPCO on core, pressure vessel, and containment damage; and TEPCO's announcement of an attempt to "scope" No. 2 containment. In this post, Davis has provided his own illustrations to explain the information from TEPCO. I believe his excellent use of graphics is one of the reasons that Atomic Power Review is so widely read. Scientists Punch Holes in the Linear Non Threshold Theory. Leading researchers at Lawrence Berkeley Laboratory, including a leading cancer researcher, designed an innovative experiment in which they could see cells repairing themselves after irradiation. As you might expect (but they showed) repair was much quicker and better after low doses of radiation. Another hole in the LNT theory. I blogged about it in the controversial post Will a Little Bit of Radiation Hurt You? Berkeley Scientist Break the Hold of Linear Non Threshold Reasoning. Here's to a great 2012, for the Nuclear Industry and for the entire world! 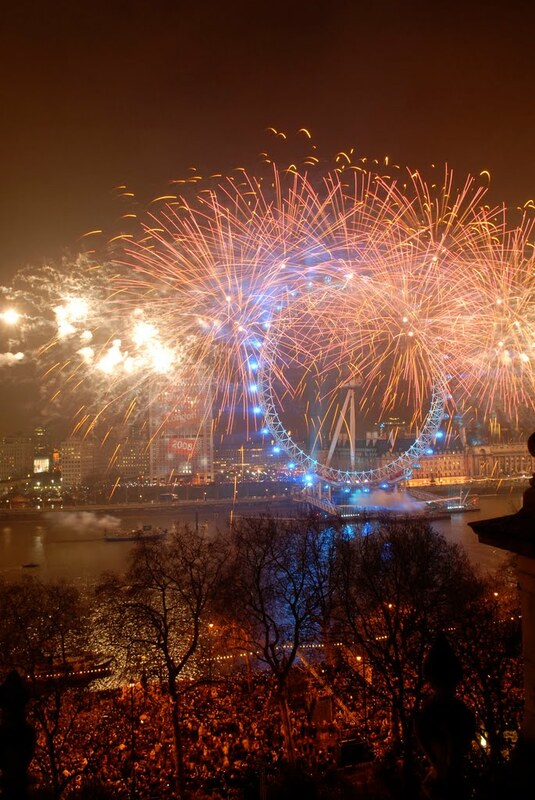 Have a healthy, happy, and prosperous New Year! Update: Happy New Year! On this morning of January 1, 2012, I also want to say "Happy Birthday to Yes Vermont Yankee." I started this blog as a New Year's resolution on January 1, 2010. 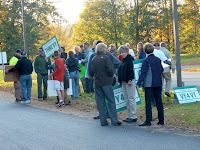 Thank you to Kay Trudell for the photos of the rally in support of Vermont Yankee this October! 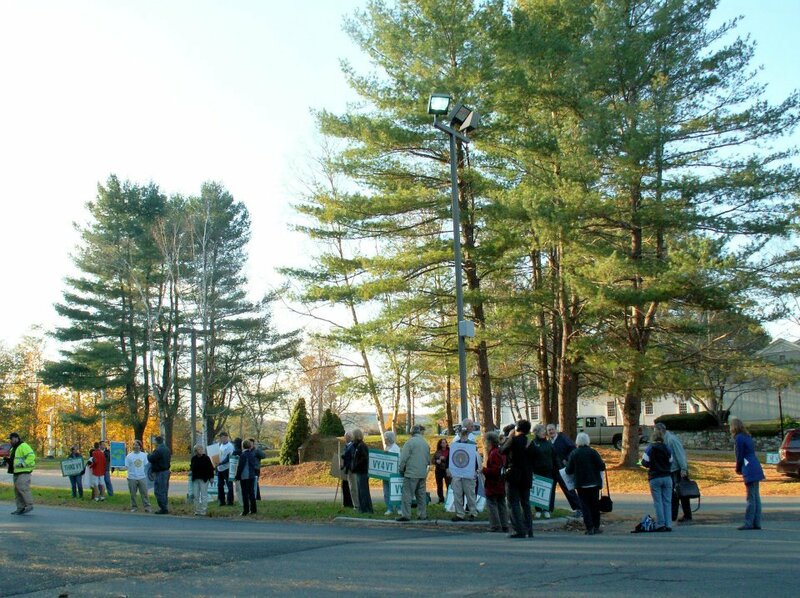 We just put an entire album of pictures on the Save Vermont Yankee Facebook page. These four pix are just a sample. There's a new Vermont Energy Plan. It says that we are going to use 90% renewable energy by 2050. It says that we don't need Vermont Yankee, but we do need a new natural gas pipeline. That's the plan. The Federation of American Scientists (FAS) is a non-profit group that is dedicated to providing rigorous, objective, evidence-based analysis and practical policy recommendations on national and international security issues connected to applied science and technology. It was founded in 1945 by many of the scientists who built the first atomic bombs. Looking at their website, I see that FAS is mainly concerned with national security, and also with science education and basic science. In other words, FAS and I would might have never crossed paths. However, Cheryl Rofer of Nuclear Diner recommended a new FAS blog, ScienceWonk, to nuclear bloggers like myself. I have just added it to the blog roll. Science is a field that makes predictions that can be tested and falsified – any putative risk from exposure to 100 mrem is far too small to be detected via epidemiological studies of the affected populations and the hypothesis that this harm is taking place cannot be tested and cannot be falsified. As such, until our epidemiological tools improve, such speculations are intriguing but may not be scientific because of this lack of falsifiability – they represent a belief or even a philosophy rather than a scientific position. I hope you will enjoy ScienceWonk. Oh yes, and visit Nuclear Diner, too! It includes a discussion forum and a blog. Nuclear Diner is open to people in favor of nuclear power and those opposed to it. Cheryl Rofer is one of the founders of Nuclear Diner, and she's also the one who told me about the ScienceWonk blog. Sunday on La Grande Jatte, by Georges Seurat, was done with the technique of pointillism. If you look at the dots, you see dots. 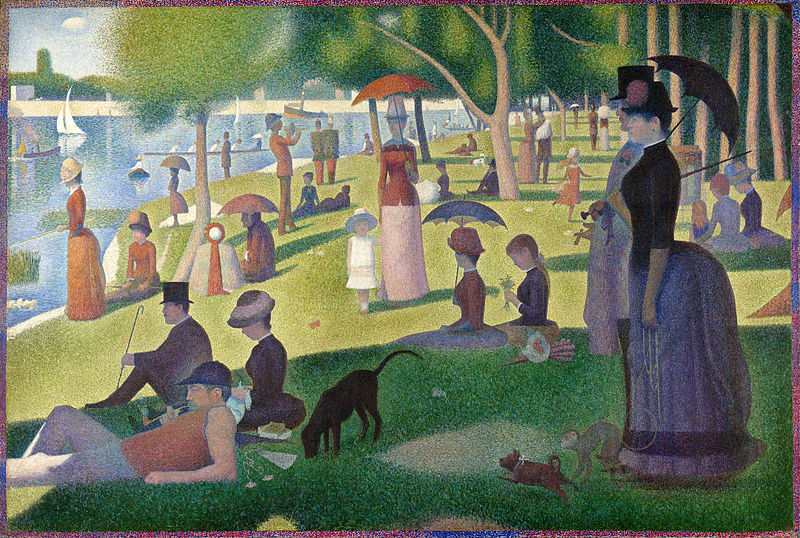 You have to step back from the canvas to see the big picture. Dr. Y used it as an illustration in one of the ScienceWonk posts. At ANS Nuclear Cafe this morning, I have a post: Young People and Nuclear Power. Recently, Howard Shaffer and I attended a film about nuclear energy at the University of Vermont. I blogged about the film and panel discussion. However, we also visited a charter high school in Massachusetts. This was a very different experience. The senior class at the high school has been engaged in an intense cross-disciplinary study of nuclear energy and Vermont Yankee issues. We spoke to the entire senior class. The ANS blog post is the story of only two classroom events, but examples are often more interesting than general statements. I hope you will enjoy reading it. 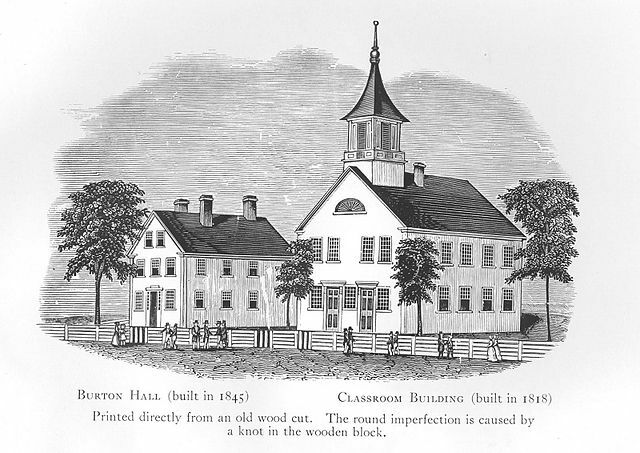 Woodblock print of Thetford Academy (oldest secondary school in Vermont) from Wikipedia. Merry Christmas and Happy Hanukkah. Happy Holidays and happy celebrations! The 84th Carnival of Nuclear Energy Bloggers is up at Atomic Power Review. Thank you to Will Davis for keeping the Carnival going in the middle of the holiday season. Would show up in hordes. Jim Hopf at ANS News and Gail Marcus of Nuke Power Talk discuss Jaczko and the NRC, and Dan Yurman describes the progress on recent Areva projects. The Enrichment facility in Idaho is on hold, but the EPR reactors in China are doing well, taking far less time than the first reactor of that type, which is being built in Finland. It's the end of the year, so Gail Marcus and Jeff Madison of Cool Hand Nuke do a retrospective on 60 years of nuclear power, while Brian Wang of Next Big Future includes a roundup of nuclear news. Want also reviews the status of SMR reactor proposals, and even covers fusion and coal news. Yes Vermont Yankee submitted a post about materials resources for nuclear education for high school students. From Atomic Power Review, Will Davis adds more resources to the High School list. It is in the spirit of the holidays to consider young people, and it is in the spirit of nuclear energy to consider nuclear education. Have happy, safe and joyful holidays! Have some fun at the Christmas Carnival! About the picture. It reminded me of someone I knew well in high school, and of a situation that scared me half to death. In high school, a fellow student invited me to come to her house for their traditional Christmas Eve party. Her parents were refugees from Vienna, fleeing Hitler. I knew this. 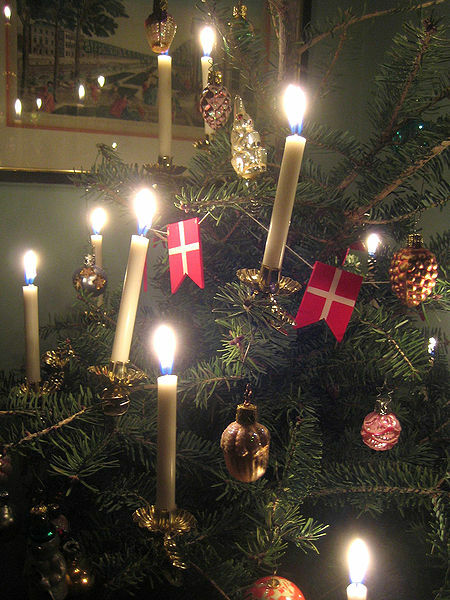 What I didn't know was the German, Austrian, Danish (etc) custom of lighting the Christmas tree with real candles. As they got out the long tapers and started lighting the candles. I was terrified. At the end, it was okay. I mean, the house didn't burn down, which is my criteria for "lighting candles on the Christmas tree was okay." I wouldn't do it myself, and not just because I mostly celebrate Hanukkah! I urge you to have safe and enjoyable holidays. Remember-- LED lights are quite attractive. They come in many colors, unlike candles. Much preferable, IMHO. Photo from Wikipedia of a Danish Christmas tree with candles. Will a Little Bit of Radiation Hurt You? Berkeley Scientists Break the Hold of Linear Non Threshold Reasoning. 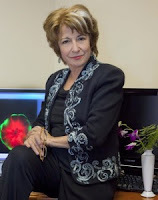 Mina Bissell is a member of the National Academy of Sciences, and is known throughout the world for her breast cancer research. 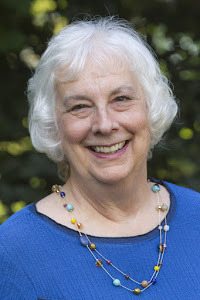 Her awards include being elected a Fellow of the National Academy of Sciences, a Fellow of the Royal Society of Chemistry, and further honors from the Curie Institute in France and the American Cancer Society. She has so many awards that Portugal has named an award FOR her: the Mina J Bissell award to a scientist who has transformed our perception of a topic. Though the techniques were innovative, and the scientists very distinguished, these recent low-level radiation results are not actually surprising. From common sense, we would expect that a body could heal itself well from several low-dose radiation exposures, while having a harder time healing from a single high dose exposure. After all, we expect ourselves to heal after any number of skinned knees, but that says nothing about our ability to heal from stab wounds. In other words, the official theory of radiation response is that a couple of skinned knees is the same as a stabbing. Risks from low levels of radiation are generally assessed with the Linear No Threshold (LNT) theory. This theory states that the risks of cancer are in direct proportion to the amount of exposure, even for very small exposures. This methodology of risk assessment is supported by a series of reports called the BEIR reports: Biological Effects of Ionizing Radiation. BEIR I through BEIR VII have been issued under the auspices of the National Academy of Sciences. I include a link to the BEIR VII summary document from the National Academy. Despite this heritage, the BEIR reports are controversial. For one thing, the assumption that there is no threshold for radiation damage is impossible to prove in a world where everyone is exposed to background radiation. For another thing, the linearity of damage at low levels always struck many scientists as unlikely. In general, small amounts of toxins are handled well by organisms, while large amounts can kill. The relationship between zero effect and lethal dose is not generally linear. 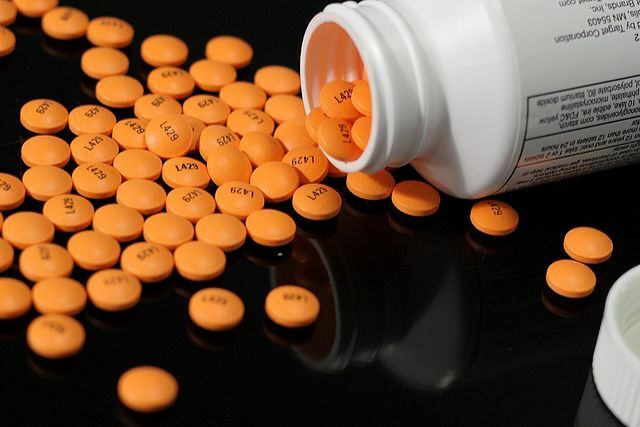 Or, as one of my friends put it: BEIR says that if 100 aspirins taken at once is lethal, and 100 men each take one aspirin apiece--one of those men is going to die. That would be a linear response to low dosage aspirin consumption. There are two competing hypotheses to the linear no-threshold model. One is that low doses of radiation are more harmful than a linear, no-threshold model of effects would suggest. BEIR VII finds that the radiation health effects research, taken as a whole, does not support this hypothesis. The other hypothesis suggests that risks are smaller than predicted by the linear no-threshold model are nonexistent (sic), or that low doses of radiation may even be beneficial. The report concludes that the preponderance of information indicates that there will be some risk, even at low doses, although the risk is small. Note that the report does not actually claim that the risks are linear at low doses, but merely that there is some risk though the risk is small. If you would like to think about some painful consequences of LNT, I encourage you to listen to this podcast about Fukushima or read my blog post about it. Rod Adams invited me and Cal Abel to be on a podcast to discuss the very real question of when Fukushima evacuees could go home. I especially encourage you to read the comments on both the podcast and the blog post. "When all is said and done, there's a lot more said than done." I have always followed the policy of attempting to look at what people do, rather than what they say. People still get dental x-rays. People move to Denver, where background radiation is high. More people move to Denver than move to the Mississippi delta, despite the low background radiation in Mississippi. But let's look at a stronger example. Let's look at radiation therapy for cancer. Many people undergo radiation treatmentS. The plural is important. Radiation oncologists know that the healthy flesh heals after a treatment, so treatments are spaced out: six weeks of three times a week, two months of twice a week, etc. I remember one man in my writing group who moved to Boston for two months to be treated. Why did he have to do this? Why didn't he just visit Boston, get one massive treatment, and come home to Vermont? Because, even at high doses, the body heals between treatments. There is a repair mechanism, as there is for everything else our body encounters. Giving radiation therapy in one dose would hugely damage the surrounding tissues, compared to giving the same amount in smaller doses over a long time. Even at the relatively high doses of radiotherapy, response to one dose versus response to many doses is not linear. Wade Allison has an excellent description of the planning behind radiation therapy in his book, Radiation and Reason. From low-level radiation exposure research at Berkeley to the standard methodologies of radiation oncology specialists to Fukushima...it seems to me that it is time to stop using LNT as the gold standard for assessing risk. LNT is wrong and therefore will lead to incorrect results. Even BEIR doesn't really defend it, and yet it is the de facto law of the land. Photo of Mina Bissell from her website. 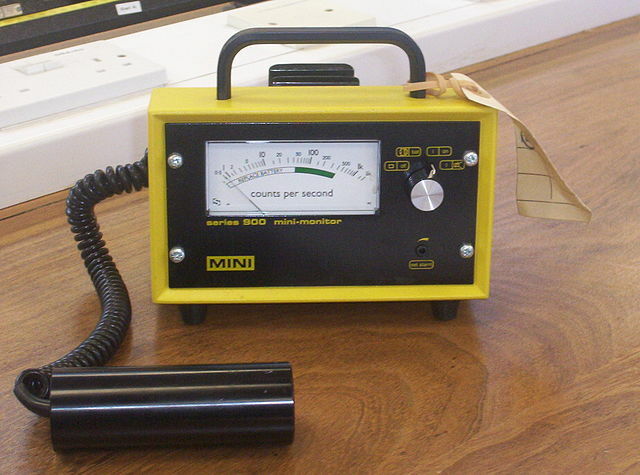 Geiger Counter graphic from Wikimedia. Let's talk a little about carbon dioxide. Burning fossil fuels produce carbon dioxide, and carbon dioxide leads to climate change. Nuclear power produces only negligible amounts of carbon dioxide or greenhouse gases. Opponents of nuclear power are stuck with these facts about carbon dioxide, but they try to get around them. They want to have their cake (close nuclear!) and eat it as they wrap themselves in environmental nobility (stop climate change!) How do they do this? Few opponents will say carbon dioxide doesn't matter, because then they would be "climate change deniers" -- which is the wrong political party. Some opponents say that both nuclear and fossil should be and will be replaced very quicky by renewables, so the comparison is not important. Some say nuclear power cannot make much of a dent in the problem anyway, and the nuclear fuel cycle makes as much carbon dioxide as natural gas. 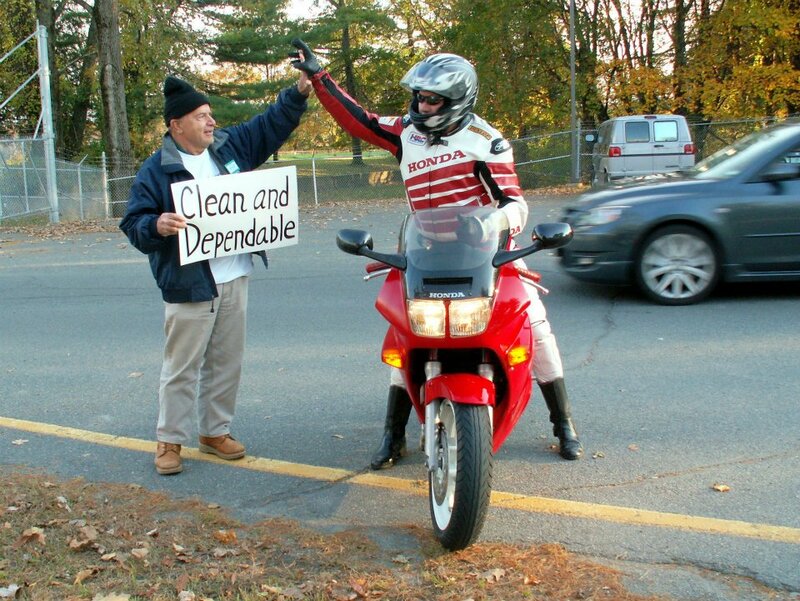 At the January Janus Forum debate at UVM, Arnie Gundersen took a different approach than the ones I outlined above. He discussed nuclear plants (Vermont Yankee) and climate change. Here is what Gundersen said in January. Gundersen's argument is that nuclear plants have poorer Carnot efficiency than fossil plants and therefore heat up the rivers more, which is bad for the fish. He claims that Vermont Yankee heated the river and decreased the shad in the Connecticut from 70,000 fish to 16 fish. Therefore, the little bit of global warming we would get if we replaced Vermont Yankee with fossil power does not matter very much. He claims we will save the river, even if we hurt the climate a tiny bit. Actually, there are far more than 16 shad in the Connecticut River, but this post is not about refuting Gundersen. I did that in an earlier post, Hot Climate and Cold Fish. My aim in this post is to show the variety of complex, baffling, and ultimately false arguments nuclear opponents make about carbon dioxide and nuclear power. Luckily for pro-nuclear people, we don't have to make complex arguments. We don't have to look at the future when (hopefully) renewables-do-it-all---and pretend that future is here right now. We don't have to tell lies about the nuclear fuel cycle being as bad for the climate as natural gas. We don't have to claim that warm water (not hydroelectric dams or imported bass) is killing the native fish. Nuclear Energy is a major ally in the fight against carbon dioxide increase and changing climate. Video Note: Gundersen video is from the UVM debate in January. France/Denmark video by MyLiberationBaby for Brave New Climate. Climate Change Note: I am aware that a certain portion of my readers do not believe carbon dioxide is leading to climate change. I think carbon dioxide is leading to climate change, and that is a problem. However, I was pro-nuclear long before climate change was an issue. Whether you think carbon dioxide causes climate change or not, I hope you can agree that using up our fossil fuels for generating electricity is not a good idea, since nuclear power will do the job just as well. The 83rd Carnival of Nuclear Energy Bloggers is up at ANS Nuclear Cafe. Thank you to Dan Yurman for once again putting together a great Carnival! Once again, the scope is world-wide. However, starting in Washington, Nancy Roth of Fuel Cycle Week covers the dirty laundry on display at the Jaczko hearings. The Chairman doesn't act like a Chairman of a commission, a collegial and knowledgeable group of people who come to together to share information, reason, argue and decide. It sounds as if Jaczko's "chairman" model may be closer to "Chairman Mao." Meanwhile, at Nuclear Diner, Cheryl Rofer links to background documents and summary documents for the hearings, so you can read the dirty laundry for yourself. (I know. That was a really weird metaphor.) Gail Marcus of Nuke Power Talk also reviews the hearings, from the perspective of someone very knowledgeable about nuclear regulation, both here and in Japan. At Atomic Power Review, Will Davis begins a series of summary reporting and opinion pieces, which will supplement his detailed and careful descriptions of events in the United States and Japan. Many of us have relied on his Japan posts, and we look forward to his more wide-ranging posts in the future. New types of reactors make news in the Carnival. At ANS Nuclear Cafe, Dan Yurman describes recent events in the evolution of the Traveling Wave Reactor, which is supported and encouraged by Bill Gates. At Next Big Future, Brian Wang links to the very positive report on Small Modular Reactors SMRs by the Energy Policy Institute of the University of Chicago. Cheryl Rofer of Phronesisaical points out that you can't make a bomb with Na-22, even if you smuggle it to Iran. Steve Aplin of Canadian Energy Issues wonders why we are not reprocessing. Victoria Barq of NEI Nuclear Notes shreds an article by Sovacool that gives the "dirt" on nuclear power. Dan Yurman wonders whether the Fukushima reactors will truly be in cold shutdown. That's all the news for now! Come to the Carnival, and enjoy yourself. Visit and tell your friends! Recently, Vermont Yankee announced that it had reported two personnel errors to the NRC. The first error occurred during the refueling outage in October. A worker flipped a circuit breaker on the shut-down cooling system, causing the water temperature to rise briefly and an alarm to sound. The plant was off-line at the time. The second error, in December, was taking both of the plants diesel generators out of service at the same time. This error (the generators were not in use) lasted for about 2 minutes before the mistake was noticed and corrected. As the NRC spokesman noted: Vermont Yankee has other backup systems as well (as the generators), including batteries and a tie to a nearby hydroelectric plant. Naturally, the opponents have commented. In the Rutland Herald, Ray Shadis was quoted: “They were Homer Simpson moments...The two screw-ups are part of a continuum of ongoing, goofy, inexplicable stuff”. Shadis further noted that he expected the next three months to be the most dangerous in the plant's forty years of operation. In the same article, Arnie Gundersen said that the Public Oversight Panel (he was a member) identified similar issues three years ago. Yesterday, the Vermont State Nuclear Advisory Panel (VSNAP) met in Vernon, Vermont. The mission of this panel has never been clear to me. According the VSNAP web page, it "considers issues" and writes an annual report to the governor and the legislature. At VSNAP meetings, most of the meeting time is spent on public comments. Vermont Yankee opponents generally show up in force. One of the public comments about the plant was from George Harvey, as reported in the Brattleboro Reformer. "These people have a history of lying....They’re clearly operating out of self-interest. They’re not interested in our making informed decisions, they’re only interested in making money." Neither Howard Shaffer nor I could attend the VSNAP meeting, due to other obligations. However, Howard sent VSNAP the testimony below, which I am very happy to share. The two personnel errors at VY open the discussion to consideration of the initial design of the whole nuclear power program, and all our technologies. In all my Navy Nuclear power and submarine training it was emphasized that the greatest care is required. You must communicate and double check before taking action. Yet it is acknowledged, and proven by experience, that people make mistakes. Therefore, designs must include backups and consideration of "what ifs." In nuclear reactor plant design, of all types, it seems to have been considered that there will be failures of hardware, and people. People include Operators, Managers, and Regulators. In addition, it was believed that in spite of all design, training, and precautions, some day, somewhere, a reactor core would be damaged and melt. The radioactive products were assumed to get out of the vessel and piping. Therefore, a backup was needed. It is the Containment. I call it the "garbage can over the tea kettle." It worked at Three Mile Island. At Fukushima the containments worked for a while, until the lack of cooling for the fuel caused melting and releases. It has been forgotten by the media that the Japanese government ordered an evacuation on the first day of the event, long before releases began. We, the world nuclear power community, have organizations to communicate lessons learned, in addition to the regulatory agencies. These organizations are the Institute for Nuclear Power Operations in the US, and the World Association of Nuclear Operators. Airplane regulators communicate world wide too. Comparing nuclear power to perfection is a political ploy. What in human endeavor is perfect? Try comparing airplanes and cars to perfection. The certainty of error is no excuse. Every accident is investigated and lessons learned incorporated. This is true of the flooding after hurricane Irene, the fire in downtown Brattleboro, house fires, plane and train crashes, car accidents, and nuclear power plant accidents and errors. If you are against something politically, compare it to perfection, and demand zero errors. In my Navy nuclear power training, I had to read the book containing reports of all the errors that had happened to date. By then, 1963, the book was thick. As years went by, the book got too thick to manage. Errors were being repeated. The book was replaced with a manageable volume of the "classic errors." Why were errors repeated? Errors are repeated in spit of all efforts, because people are human. There are always new people, people changing jobs, rules changes, design changes, and time and other pressures. NRC licensees are required to have a formal program to document, report, investigate, learn from, and take corrective action on, Human Errors. It is always appropriate to ask if any events constitute a pattern. The nuclear power program, and Vermont Yankee, should be compared to the available alternatives. On this basis, using the measures the EPA uses: deaths, injuries, accidents, and environmental degradation, it appears that in the 1950's Congress made a very wise decision in choosing nuclear power as a replacement for coal. Hillary Archer of the Gund Institute at University of Vermont (UVM) directed a film about nuclear power, Transparent Radiation. It's a pretty negative film. Actions speak louder than words. If the Gund Institute thought coal plants were a bigger problem than nuclear plants, they would have made a film about coal. However, in my previous post about the film a lengthy comment stream made it clear that some people at Gund thought I was misquoting them or misrepresenting the film. So in this post, I am being extra-extra careful. In this post, I have one quote from the film....followed by my opinion. Then I have the two film trailers...followed by my opinion. My opinions are clearly marked. Readers can read the quote, watch the trailers, read my opinions, and come to their own conclusions. After I heard this quote in the film, I asked for the entire quote to put in my blog. I thank Hillary Archer for sending me the quote. The quote describes a possible energy future. My opinion: I interpreted this quote as saying that shutting nuclear plants is a very high priority action. Since 50% of our electricity comes from coal, cutting back electricity use by 50% could mean that we didn't need any coal plants. As I read this quote, I think it implies that shutting nuclear plants is higher priority than shutting all the coal plants. The nuclear plants would be the first to go. That's how I interpreted this quote. In several email exchanges with people at Gund, they have made it quite clear that they think my interpretation of this quote is completely incorrect. However, my opinion of the quote remains the same. IMHO, the quote recommends shutting the nuclear plants first. Other people's opinions that my opinion is incorrect--doesn't change my opinion. Here are the two trailers for the film, Transparent Radiation. Each is less than two minutes long, so you can watch them both. Scare First: The first part of each trailer is basically attention-getting. It consists of rather frightening footage, usually with Geiger counter sounds in the background. Trailers include tsunami footage and (one trailer) atomic bomb footage. In watching the early attention-getting frames, I am most puzzled by what happens about sixteen seconds into the trailers. It looks like workers at Fukushima, dressed in anti-c's (radiation protection clothes), are carrying a body bag. Indeed, two people drowned at the Fukushima plant during the tsunami and one person was killed when his crane toppled during the earthquake. (About 20,000 people in Japan died during the catastrophe. Most were drowned or crushed.) Deaths at the plant were caused by the natural catastrophe. Anyhow, the body-bag sequence is both puzzling and irrelevant to nuclear energy. That is my opinion. Reform Later: Moving from the scare scenes at the beginning, the trailers then consist of many people making general statements. Most of these statements strike me as almost religious in tone: variations of the theme that "we have to rethink everything" or "it's a new age." We are also described as needing to curb our insatiable appetites for material goods, stop neglecting the limitations of the world, and so forth. These statements may be a call to personal action, but I don't see them as having much to do with nuclear. There are a few statements about nuclear energy. These are also very general remarks, without much substance. For example, there is one statement that "nuclear is not a silver bullet." This is a straw man. Did some unknown person, not in the film, say nuclear is a silver bullet? I know that nuclear can be a great help in slowing global warming, but I don't know any nuclear supporter who would call it a silver bullet. There is also one statement in the trailer about renewables, claiming that we have lacked interest in renewables and are holding on to things we are used to. The trailers are very well done as advocacy pieces. They start with scary images, and move on to almost religious statements about how we can do better. This is a good sequence for convincing people. It is regularly used in advocacy (and propaganda and sermons and political speeches) of all kinds. In my opinion, these are excellent trailers, but not trailers that encourage thought about energy choices. The images and words are visceral and direct: This is frightening! We must reform! The problem with pro-nuclear people (like me) is that I load up my posts with numbers and comparisons. I can see by these trailers that a more direct approach works better. And yet...somehow...this is not the sort of thing I expected to see as a university project about energy. End Note: Ms. Archer is a lovely and gracious person, and I feel badly about having a low opinion of the film. I am grateful that she sent me any quote that I requested. I have decided that being a film critic must be a really really terrible job. 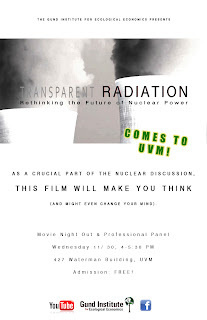 Last week, I attended the film Transparent Radiation at University of Vermont. The film poster is to the left. The purpose of this film was to show the negative side of nuclear energy, echoing the viewpoint of the filmmakers. After the film was shown, there was a panel discussion. Howard Shaffer was on the panel. Shaffer blogged about the film and his panel experience at the American Nuclear Society's ANS Nuclear Cafe: Transparent Radiation--A Film: The View from the Panel. Howard and I thought that I might blog at ANS later this month, perhaps my post would be The View from the Audience. In preparation for writing the blog post, I contacted the film director, Hillary Archer, and also a faculty member at the Gund Institute, Gary Flomenhoft, for further information and quotes. The email conversation didn't go all that well. This was at least partially my fault. I am grateful that Archer obtained all the quotes I wanted. She was very gracious. I emailed Archer that I wanted to obtain the quote about the how some nuclear materials had a four billion year half-life, because I loved that quote and I wanted to use it in my blog. She sent me the quote, but she also was very interested in why I loved it. Would I share my opinion of the quote? After a bit of back and forth, I wrote Archer an email about the quote. Later I thought: Why let a good rant go to waste? I'll put the email on my blog! So here it is. I have edited it a little by removing a short paragraph that referred to earlier emails. I also include the entire quote from the film, as sent to me by Archer. Thank you for the quote. I appreciate you sharing this and helping me be more accurate! You wanted my opinion of the quote, and I said that my opinion would be in the blog. I don't have an obligation to share my opinions with you before I even write them. I DO have an obligation to get the quotes right, and I have been working at that.. However. I will share my opinion of this quote, since it seems to be important to you. This quote shows a completely backward understanding of radioactivity and its dangers. It's the most perfect misunderstanding of radioactivity: half-life as scare story. During the film, I giggled during this quote. This whole business about protecting ourselves from U 238, which has been here since the planet was formed! It was very funny. U 238 is all over the place: in rocks, in coal, in the ocean. But these guys are going to hide it away, because it has a long half-life so it must be very dangerous. And somehow, nuclear energy caused it! Nope, the supernova that exploded and made the earth 4 billion years ago...that caused the existence of U 238! On to a little education about radioactivity. A long half life means an isotope is less dangerous. Think about it. Let's say you have a 100 atoms of an isotope with a half life of ten minutes. You can expect 50 radioactive decays in the first ten minutes. Short half-life, lots of radiation released quickly. Let's say those 100 atoms are of an isotope with a half-life of ten years. The first ten years will have 50 decays, or one decay every couple of months. Long half-life, very little radiation released at a time. This is why we can build a building of granite, which contains long-half-life radioactive materials. The long half-life means the granite isn't very radioactive. A 4 billion year half-life means very low radioactivity indeed! It makes a good scare story, though. Be afraid. Be very afraid. It's gonna be radioactive for billions of years (as it has been already)! But to anyone with a bit of understanding of radioactivity, it's a giggle. By the way, since you value honesty. 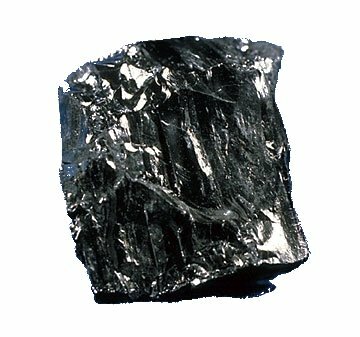 Half of the electricity in this country comes from coal. Comparing coal and nuclear is not a "straw man," as Gary called it. You cannot dismiss facts by claiming: "that's a straw man." That is not honesty about energy. Thank you for sending me the exact quotes. I appreciate the quotes, and I appreciate the time you took to send them. I hope I have answered your questions. I have taken some time about it, and tried my best to answer. First, a note. The exact words in Gary Flomenhoft's email to me were: "I believe nuclear vs coal is a straw man argument." He likes neither nuclear nor coal. Further, the quote I requested from the film Transparent Radiation. I thank Hillary Archer for providing the full text of the quote. Coal image also from Wikipedia. So far, in blogging and nuclear advocacy talks, I generally speak to adult audiences. That seems to be changing. A few weeks ago, a high school assistant principal found me on the web. This has turned into an opportunity for one of the Energy Education Project supporters (a nuclear engineer who lives near that high school) to give a talk at the high school. Then another high school teacher contacted me. That contact has become an opportunity for Howard Shaffer and me. We be talking to social studies and chemistry classes at that school. Two days ago, a high school student from one of the Vermont Academy high schools contacted me. He wanted some help in putting together a senior project about nuclear energy. The project will be presented to the entire school. At that point, I cried "Help!" to my American Nuclear Society Listserve, asking for information about high school curriculum materials for nuclear energy. As I expected, some very knowledgeable people led me to good resources. I am using this blog post to share the information. This has activities, fact sheets, and brochures on nuclear power plant safety. My evaluation: Great stuff, but you are going to have to hunt through it. Lots of good material, but uneven. My evaluation: This site is rich, up-to-date, and easy to navigate. It can be used even if your school is not participating in Nuclear Science Week. Energy Solutions Foundation pioneered a curriculum for nuclear energy. This material is part of the Power Path curriculum developed by Entergy, Areva and others. The Power Path site includes games, information, fact sheets, activities, and debate points for high school debaters. Power Path is truly a curriculum. Much is downloadable, other parts of the curriculum can be attained by emailing abecker@entergy.com. The Power Path Curriculum is available and approved for use in several states. No, I am not just saying this because Entergy owns Vermont Yankee and is also a sponsor of Power Path! I am saying it because people on my ANS Listserve have used Power Path materials in their children's schools, and they said the materials were great. Of all the resources I have listed in this post, this is the only one for which I have user-feedback. Facts on File (a publisher) is coming out with a series of six books about nuclear energy. The books are meant for high school and college libraries. Some books available now; some will be available early next year. My Evaluation: I haven't read these books, and they are pretty pricey at $45 each. However, all the books are written by James Mahaffey, a Ph.D. who wrote the excellent book Atomic Awakening. That book is on my Kindle, and it is clear, authoritative, and amusing. I expect these books are also excellent. There are many resources available for talking and teaching about nuclear energy in high schools. I hope my readers will add even more, in the comment section. Afterword: Academies in Vermont. 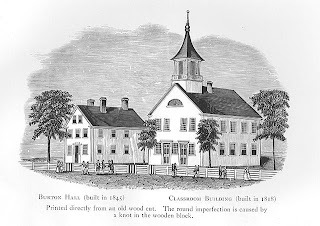 In the mind-1800s in Vermont, many Academies were founded as private secondary schools. Later, when the Vermont townships decided to provide secondary education for everyone, the Academies were already in place. The townships chose to provide tuition vouchers for the Academies rather than set up rival and redundant schools. Nowadays, the Academies take tuition vouchers from local school districts, and they also take private paying students. They are usually still private schools (sort of). 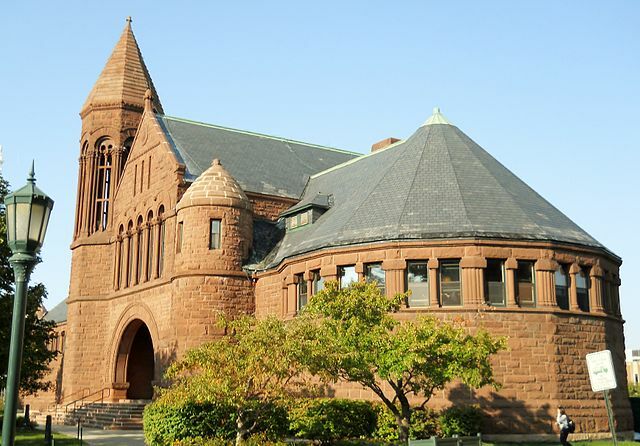 The Academies have long traditions and high standards, and are very Vermont. I decided to illustrate this post with graphics of two of the Academies. 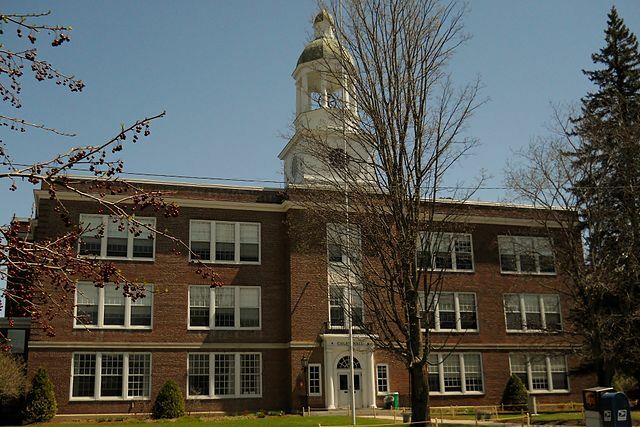 Colby Hall at St. Johnsbury Academy from Wikipedia. The 82nd Carnival of Nuclear Energy Blogs is up at Nuclear Clean Air Energy. It's the first time this website has hosted the Carnival. In this Carnival, you can see the bloggers: Margie Jepsonincluded all of our pictures when she put the post together. It's such a good idea---why didn't I think of that when I hosted the Carnival? In the Carnival, Gail Marcus of Nuke Power Talk describes the nuclear anniversaries of December. December isn't just Christmas, Hanukkah and Kwanzaa any more--it's also Nuclear Firsts month. Dan Yurman of Idaho Samizdat: Nuke Notes reports on an interview with Jaczko. Budget woes at NRC may slow things down. Who knew things could get slower at the agency? Will Davis of Atomic Power Review describes his reading list for the winter days that are coming. He plans to curl up with some good nuclear books. Davis describes the books, and we can read them vicariously. This sounds easier than reading them directly. I look at that fish again. Actually, it's not worth looking at a fish with background levels of Sr90. Instead, I look at what Lochbaum of Union of Concerned Scientists says about the fish. I suggest Lochbaum begin to write science, not propaganda. Rod Adams at ANS Nuclear Cafe reports on a key study of the future of Small Modular Reactors. The study was done by University of Chicago: this university is is my alma mater and my husband's alma mater and my mother's alma mater and my father's alma mater and...Well, you might say I have some ties to the place! I am glad to see University of Chicago exploring and supporting SMR development. Finally, Cool Hand Nuke has the world-wide news of the new builds in China, Brazil and Russia. And the crocodiles are doing well in their protected habitat near Turkey Point. Good news about nuclear. It's the Carnival! Come for a visit! Blog posts, podcasts, and letters about Vermont and Vermont Yankee. Howard Shaffer and I work closely together on Vermont Yankee advocacy. He is head of the Vermont Pilot Project of the American Nuclear Institute. A film about nuclear power was developed at the Gund Institute for Ecological Economics of the University of Vermont. As we expected, this film was anti-nuclear. You can see a trailer for it here. Last week, at University of Vermont, Howard Shaffer and Arnie Gundersen were on a panel discussing the film. Today Shaffer has a blog post at ANS Nuclear Cafe: Transparent Radiation--A Film. In his post, Howard Shaffer describes the film, the audience questions, and the panel members answers. This film and panel was a Vermont event, but the film will be entered in many film festivals. How it is received will be relevant beyond Vermont. Is the Linear Non Threshold Theory reasonable? How come people drive cars, smoke, and have dental fillings? Driving, smoking and mercury can be considered "Linear Non-Threshold" activities or substances. Warning. There are sound quality issues with the podcast. I talk too softly and Rod breathes too loudly. High Jinks: John McClaughry posts in Vermont Tiger: It Takes One to Know One. Tony Klein is chairman of the Vermont Natural Resources Committee in the Vermont House of Representatives. Klein is upset about proposed anti-wind legislation. 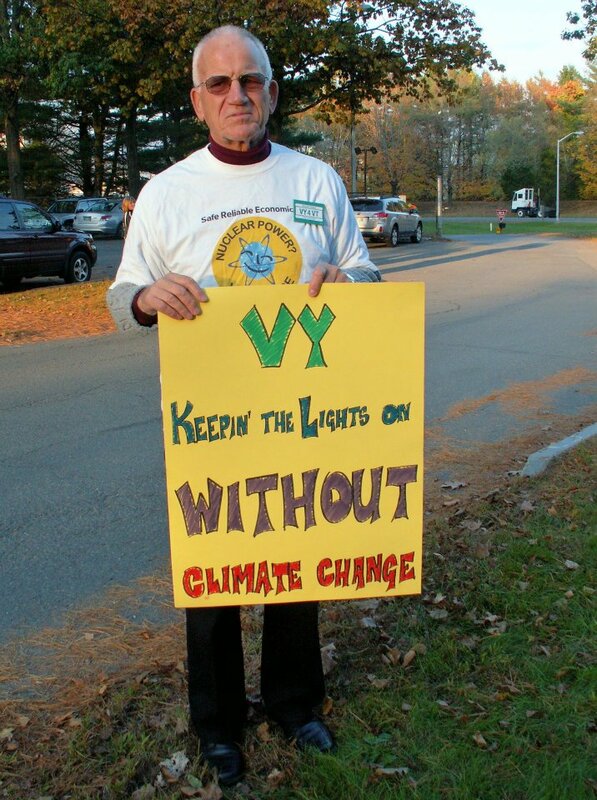 Klein is a fierce opponent of Vermont Yankee. I was in a committee room when Klein said that the existence of Vermont Yankee on Vermont soil could ruin the Vermont Brand. Klein is also a proponent of wind turbines, and he is very upset that the proposed legislation could "pocket veto" wind without a vote. McClaughry points out that the Vermont House illegally "pocket vetoed" Vermont Yankee by not voting. (The famous vote was only in the Vermont Senate.) As McClaughry says: It Takes One to Know One. Full Disclosure: The Energy Education Project that I direct is part of the Ethan Allen Institute that was founded by John McClaughry. Vermont recently lost a federal lawsuit trying to prevent companies from selling patient information to pharmaceutical companies. The Supreme Court rejected the law saying it violated free speech of companies and the law lacked coherence. We now learn taxpayers will be responsible for $1. 8 million not counting $600,000 for fighting the court case. This could be just the tip of the iceberg as experts believe there are still more plaintiffs to come. The legal fights could go on for years. May one suggest the governor, Attorney General Bill Sorrell and other state officials start picking up the tab rather than continue to burden taxpayers with no end in sight. An excellent suggestion, which will be ignored. When it comes to Vermont Yankee, our legislators are addicted to Other People's Money. I decided to illustrate the Leopold letter with a picture of the Vermont Statehouse Dome, captured from Wikipedia. Note that that the dome is covered in gold. Labels: Entergy lawsuit, Fukushima, John McClaughry, podcast, transparent radiation film. In a recent post, The Strontium Fish and the Associated Press, I described how AP wrote stories about Vermont Yankee releasing strontium 90 without mentioning the quantities of these releases. As I pointed out in the post, the releases were on the order of 10 to the minus 7 or minus 8 curies a year. The AP described releases, but did not describe the quantity of strontium released. The amounts were in the ten-billionths of a curie range. Representative Markey of Massachusetts, a long-time nuclear foe, saw this plant-released strontium-90 theme and decided to run with it. (Maybe Markey saw it in the AP articles.) Markey wrote a letter to the NRC, accusing the NRC of letting Vermont Yankee get away with lying to the press. Here's a link to Chairman's Jaczko's answer to that accusation. Jaczko said: The quoted licensee statements in your question are not without foundation based on the above information. (Vermont Yankee is the licensee). Aside: For more information on Markey, Vermont Yankee, and the NRC, I recommend Victoria Barq's posts at NEI Nuclear Notes. I was forwarded a copy of the statement you (Larry Smith) released on August 2, 2011, which contained the following statement. "There is absolutely no evidence to suggest that Vermont Yankee is the source for the strontium-90...."
So what you said in the statement about not detecting strontium-90 in the monitoring wells may be true, but it is not the whole truth is it Mr. Smith? In fact, it is so short of the whole truth as to be very misleading bordering on deceitful. Mr. Lochbaum includes the numbers 31 billionths of a curie, but he uses a shorthand that not everyone will follow. Then Lochbaum calls Larry Smith's statement "misleading bordering on deceitful" for claiming Vermont Yankee releases do not affect the amount of strontium in the local fish. In my opinion, Lochbaum is assuming that nobody reading his letter will have any idea of what 3.17E-08 means. It means 31 billionths of a curie. The whole truth is that Vermont Yankee routinely releases strontium-90 to the environment. This fact does not mean that Vermont Yankee is the primary or sole source of the strontium found in the fish. But this fact also means that Vermont Yankee cannot be excluded as a potential source, as your very misleading statement sought to establish. Whew. With a statement that is more propaganda than science "Vermont Yankee cannot be excluded as a potential source," Lochbaum attempts to step back into scientific credibility. Really, Mr. Lochbaum? We cannot exclude the potential of a meteor hitting Radio City Music Hall tomorrow. In the exact same sense, we cannot exclude the potential that some of that billionth part of a curie of Sr 90 wandered nine miles up the river and got into that fish. We also must include the fact that Lochbaum chooses to use the least-accessible method of expressing scientific notation. Then he doesn't explain the notation. Lochbaum uses tortured sentence construction, such as "cannot exclude." In my view, everything in this letter is constructed as propaganda, not science. Lochbaum lards his letter with "oh shucks" verbiage and then accuses Entergy of lying. He makes no attempt to explain anything, or put anything in context. He seems to be just hoping that nobody notices the weakness of his statements. Really, Mr. Lochbaum? Come ON! For Pete's sake, man! Write science, not propaganda! My conclusion: Entergy told the truth. I leave it to my readers to judge Mr. Lochbaum's words. Perhaps he has expressed himself in a way that is so short of the whole truth as to be very misleading bordering on deceitful. To see the effluent reports for Vermont Yankee for yourself, you can see radioactive effluent reports from 2005 to 2010 at this page on the NRC website. For earlier years, you have to go to this NRC page and do a search by clicking on Begin Web-based ADAMS search. Strontium 89 and strontium 90 releases, by quarter. In the second quarter, there was also a release of Sr 90-- 1.75 times 10 exp -7 curies. Total release of Sr 90 for the year 2002 was 1.75 times 10 exp -7 curies, or approximately 2 millionths of a curie. Total release of all types of radioactive Sr for the year was 2 ten-thousandths of a curie. The equivalent release numbers for 2005 were: no strontium 90 detected, but Sr 89 release of 6.3 times 10 exp -6 one quarter, and 6.5 time 10 exp -6 another quarter. These were all high-level releases (from the stack) as in 2002. However, in 2005, there were also ground-level releases of Sr 89 and Sr 90 in the first half of the year, at the level of 1 times ten -8 curies. Total releases here are in the neighborhood of 1 ten-thousandth of a curie, mostly Sr 89, not Sr 90. Sr 90 was at 10 exp -8 curie level. As Lochbaum said, 31 billionths of a curie of Sr 90. But he made it sound pretty scary. Entergy tries to mislead! Deceitful! Sr 90 released! Etc etc etc. The 81st Carnival of Nuclear Energy is now up at Idaho Samizdat. Dan Yurman has put together a great Carnival with terrific bloggers! How do I know? The first post featured in the Carnival is my blog post about AP's biased reporting. More seriously...thank you, Dan, for featuring my post in such a prominent position. All the posts are terrific, and cover a lot of topics, from history to politics and economics. It's a world-wide Carnival! At Atomic Power Review, Will Davis describes the Nuclear Firsts of the month of December. The Chicago pile, for example, went critical in December. As usual, Will has great graphics. The Chicago pile was part of a weapons program. In the next Carnival entry, Cheryl Rofer of Nuclear Diner describes the cost of nuclear weapons. Expensive little things! Expensive in many ways! We all agree it is better to build nuclear power plants. Brian Wang at Next Big Future has a world-wide reach, describing the ambiguous war against the Iranian nuclear program, the costs of power generation in China, and a molten salt reactor project gathering speed in Australia and the Czech Republic. Gail Marcus, of Nuke Power Talk, covers Japan in her post. As I have mentioned before, Marcus lived and worked in Japan. Regulatory changes need to happen in Japan, but these changes don't seem to be happening. Getting back to the United States, Jim Hopf at ANS Nuclear Cafe discusses loan guarantees: solar, nuclear, Solyandra. Not all loan guarantees are the same. A very important post, and a fascinating and lengthy comment string about loan guarantees of all kinds. Meanwhile, at Idaho Samizdat, Dan Yurman examines the NRDC contention against the severe accident mitigation guidelines at Limerick. Conclusion: if NRDC wins their contention, consulting firms will make a lot of money. However, since safety procedures are updated regularly, there is very little chance that the plant will need to make major changes. Come to the Carnival. It's fun! It's new! It's international! 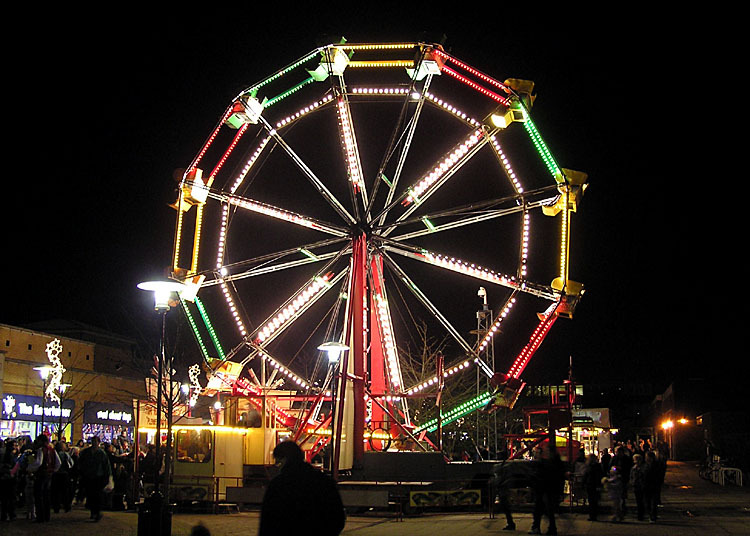 Reading the Carnival is a great activity for a cold winter evening! Larry Smith, plant spokesman, said there was "absolutely no evidence that Vermont Yankee is the source for the strontium 90." On the same day as the announcement, AP reporter Dave Gram wrote an article which said that Smith's statement did not mention the plant's announcement in May of 2010 that strontium-90 had been found not in groundwater, but in soil samples taken from the plant grounds. Indeed, there had been some strontium found in soil near the tritium leak. All such soil was removed and appropriately disposed. No strontium was ever found in the groundwater, which means it did not migrate to the river. As I quoted in my August blog post, Irwin (of the Vermont Department of Health) says he doesn’t believe the Strontium-90 found in the fish was from Vermont Yankee. “We would need to see a pathway between the source and the fish,” he said. You would think that would be the end of the story. It wasn't. On August 6, Gram wrote another article about the fish. In this article, Gram reported that the Vermont Nuke Plant Had Past Radioactive Releases. Quoting his article: But in at least one of the quarters in each year from 2002 to 2005, Vermont Yankee told the NRC in its annual report on radioactive leaks that it had released some strontium-90, a radioactive substance linked to cancer and leukemia. All put together, the reported releases are tiny. Strontium 90 releases from the plant are even smaller: I added strontium 89 and 90 to get ten-thousandths of a curie. Strontium 90 releases are on the order of ten to the minus 7 or 8 curies. This is in the level of ten to hundred billionths of a curie. In the biosphere, these releases cannot be distinguished from background strontium. Those numbers are not in the AP story, however. So, question arises: why did the reporter write that there were releases and not quantify the releases? The numbers are in the same NRC reports that lead to the conclusion that "Vermont Yankee reported releases" to the NRC. Did the reporter not know the quantities (poor quality reporting)? Did he know, but decide not to admit the quantities were very low (biased reporting)? Obviously, I don't know the answer to these questions. However, I do not want to just point a finger at a single reporter. This type of reporting looks like Business as Usual for AP about nuclear energy. The Pulitzer Prizes are awarded through Columbia University, and the Columbia School of Journalism is widely acknowledged as one of the premier schools of journalism in the country. The Columbia Journalism Review (CJR) is a prestigious watchdog for good journalism. In the past three months, CJR has criticized two AP series for disorganized and slanted reporting of nuclear matters. In the first review, September 28, CJR first blasted the Nuclear Energy Institute for a heavy-handed response to the AP articles.. Then CJR got around to looking at the AP articles themselves. Two months later, AP had an article about the consequences of Fukushima. On November 22, CJR reviewed the AP work on Fukushima. Journalists often play up the dramatic and alarming aspects of the information they’ve found, and play down or leave out the ameliorative, neutral, or balancing aspects that might help do justice to the truth, but which could “weaken” the story. The AP’s article illustrates what this looks like. Conclusion: when the CJR gives several negative reviews to a source for biased or confusing reporting on a particular issue, something is happening at that source. I think something is happening at AP. When I read an AP story about nuclear, I expect to see biased reporting. Update: Canadian Energy Issues blog linked to this post and expanded on some of the themes. The title of their blog post is Why so much anti-nuclear sentiment at a time when the world urgently needs a major expansion of nuclear energy? It is being deliberately manufactured, by leading mainstream media vehicles like the Associated Press Thank you to Steve Aplin of Canadian Energy Issues. 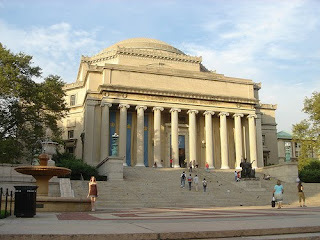 Low Memorial Library at Columbia University, from Wikipedia. In full disclosure: our son-in-law is a professor at Columbia, and several members of the family (including our daughter) hold degrees from that institution.